McLachlan started his career with South of Scotland League team St Cuthbert's Wanderers in his home town. He joined First Division Aston Villa in 1913 and made three League appearances for them before returning north of the border to play with Aberdeen in 1914. McLachlan's Pittodrie career was interrupted by the First World War in 1916. A strong left half who was made captain in 1919, McLachlan was a colossus in the Aberdeen side. 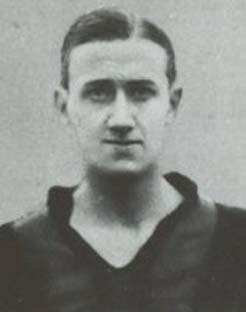 He moved to Heart of Midlothian in 1927. While at Aberdeen, he represented the Scottish League once, against the Football League on 20th March 1920 in a 0-4 defeat at Celtic Park. He died in 1956.